A gallbladder disease expert recommends five foods in particular that will help prevent gallbladder attacks. Dr. Alashari explains, “The observation that deficiency of ascorbic acid (vitamin C) is associated with the development of gallstones in guinea pigs prompted investigation of the relationship between ascorbic acid levels and gallstones in humans. #1. Right away you may be thinking whole oranges, but the following fruits have higher vitamin C levels: raw acerola juice (1,600 mg per 100 g serving), raw guava, orange juice, grapefruit juice and raw kiwi. Green and red peppers are loaded with vitamin C.
#2. 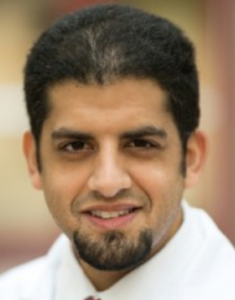 Dr. Alashari explains, Coffee; moderate coffee consumption was associated with a reduced risk of symptomatic gallstone disease in a cohort study involving 46,000 male health professionals who were followed for up to 10 years. 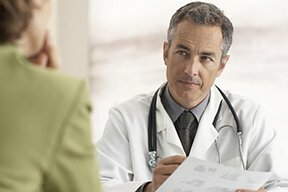 “Subjects who consistently drank two to three cups of regular coffee per day were approximately 40 percent less likely to develop symptomatic gallstones during follow-up. “The benefit was even greater in those who drank four or more cups per day (relative risk 0.55). In contrast, decaffeinated coffee was not protective. #3 and #4. Dr. Alashari says, “Vegetable protein and nuts. The Nurses’ Health Study identified increased consumption of vegetable protein in the context of an energy-balanced diet as a protective factor for cholecystectomy. “Comparing the highest with the lowest quintiles of intake, the risk was reduced by about 20 percent (relative risk 0.79, 95% CI 0.71 to 0.88), with a significant dose-response relationship. green peas, quinoa and beans. #5. Dr. Alashari says to help prevent gallbladder attacks, eat more foods with poly- and monounsaturated fats. He points out that these beneficial fats “inhibit cholesterol gallstone formation in animals. Whether diets rich in these fats reduce the risk of gallstone disease was evaluated in the Health Professionals Follow-up Study, a large cohort study of male health professionals begun in 1986. “After 14 years of follow-up, the relative risk in those in the highest compared with the lowest quintile of polyunsaturated and monounsaturated fat consumption were 0.84 (95% CI 0.73-0.96) and 0.83 (95% CI 0.70-1.00), respectively. To help avoid gallbladder attacks, eat such foods as salmon, albacore tuna, cod and halibut, and olive oil and avocados.